First Coast Christian Writers meet weekly on Thursdays at 6:45 p.m. in room 513 of Christ's Church on Greenland Road. Contact chapter leader Tracy Redman for more information: tlsl72@yahoo.com. River City Writers will meet on Tuesday, May 11 at 7:00 p.m. at the SE Regional Branch Library in Jacksonville, 10599 Deerwood Park Blvd. Gregg Golson leads the group, and can be reached at gtgolson@comcast.net. Ancient City Writers meet at St. Augustine's Main Library, 1960 N. Ponce de Leon Blvd. on Saturday, May 15 at 10:15 a.m. This month, local author and historian Karen Harvey will discuss "The Nit & Grit of a Publishing Project." With nine books in print, including her new release, St. Augustine Enters the Twenty-First Century, Karen has learned plenty about what it takes to get a book written and published. And she's happy to share her experiences with us. Amelia Island Writers now meet at Books Plus, 107 Centre Street in Fernandina Beach. Visit them on Tuesday, May 18 at 6:00 p.m. Contact Maggie deVries, chapter leader, at maggie1948@yahoo.com. Clay County Writers meet on the third Wednesdays of the month at the Fleming Island Library. This month it will be on Wednesday, May 19 at 6:15 p.m. Chapter leader Maureen Jung can answer your questions. Email her at mjung@wordspringconsulting.com. Rik Feeney moves north this month on his around the world speaking tour. He'll be at the Ponte Vedra Writers Chapter on Saturday, May 22 at the Ponte Vedra Library, 101 Library Blvd., at 10:30 a.m. Rik's talk this month is "Your Book: The Primary Marketing Tool." In his show and tell presentation, Rik will talk about how to turn your book into a vehicle that encourages and motivates sales. The Florida Chapter of Sisters in Crime meets tomorrow, Saturday, May 1 at 10:30 a.m. at Jacksonville's SE Regional Branch Library. If you're a mystery/crime writer who wants to portray the use of weapons accurately and realistically, then be there to hear weapons expert Teresa Meares of Team DGG. The next SCBWI children's writing meeting is on Saturday, May 15 at 1:00 p.m. at the SE Regional Branch Library. They are doing closed critiques and up to 10 pages of a picture book, children's MG or YA novel, or children's short story must be sent in advance to Janet Walter, jgwalter@comcast.net. On Saturday, May 8, the First Coast Romance Writers holds a full day workshop with novelist Alexandra Sokoloff on "Screenwriting Tricks for Novelists," at Arlington Congregational Church, 431 University Blvd. N. Visit the website for registration details. On the Same day, May 8, at 2:00 pp.m., North Florida Writers meet at the Webb-Wesconnett Library, 103rd Street near I-295. The group will hear from counselor-hypnotist Ben Edmundson. Our FWA region is again co-sponsoring the UNF Writers Conference, August 6 - 8, at the UNF Learning Center. Friday, August 6 is devoted to an outstanding line-up of workshops, including "What Every Writer Should Never Forget," presented by Steve Berry, Adrian Fogelin's "Writing for the YA Market," "Remember Me: What Makes a Powerful Memoir," by Carol O'Dell, "The Top Ten Reasons Why Editors Reject a Non-Ficition Proposal," presented by UPF Editor-in-Chief, John Byram, plus workshops on social networking for authors, playwriting, POV, mystery writing and marketing. Thirteen sessions altogether, plus a luncheon keynote by Fogelin, and a booksigning and wine reception. And that's just the first day. The other two days concentrate on intensive critique sessions covering fiction, non-fiction, memoir and screenwriting. There's even more so visit the website for all the details. You can register for only the Friday workshops or the entire three days. Registrations are now open for the 2010 FWA Annual Conference, Go for the Gold, October 22 - 24 at the Lake Mary Marriott. With strong workshop faculty and subject matter, agents and editors available for one-on-one interviews, and the newly-added manuscript critiques, this is one of the better writers conference of the year. Remember, though, you have to be a current FWA member to attend so be sure your membership runs through October 2010 or join now. The Florida Writers Foundation, Inc. was incorporated two years ago by FWA to promote literacy and enhance the writing skills of young people and adults. A major fund-raiser is the Pre-Conference Workshops on Thursday, October 21 at the Lake Mary Marriott. Select from five full-day workshops including Bob Mayer's "Warrior Writer Workshop," Molli Nickell's "From Query to Pitch," "How & Why to Use Social networking Tools," with Mary Ann de Stefano and Chris Hamilton, "Screenwriting from Idea to Big Screen" with Andrew Robinson, Chantelle Osman and John Castellano, plus Vic DiGenti's, "Novel in a Day" workshop." Registration information will soon be on the FWA website. For questions, contact FWA President, Chrissy Jackson, chrissyj@earthlink.net. If you're unsure whether you'll attend the Pre-Conference day on October 21, I'll conduct the "Novel in a Day" workshop one last time this month at UNF on Saturday, May 15. Part of UNF's Continuing Education program, you may also register for Sharon Cobb's screenwriting classes, John Boles' creative writing class, and Thelma Young's memoir writing class. Click on the link for registration info. Don't forget that the First Coast Register is planning to publish short stories by First Coast writers starting with the June/July issue. They will pay $100 for selected stories of 1,000 words or less. Contact editor Mark Pettus at mpettus@jcpgroup.com. The RPLA competition deadline is July 16. Seems like a ways off, but it will be here before you know it. Check out the submission guidelines and send in your entry. Again, you must be a member to enter. Good luck. The Florida Heritage Book Festival scored a coup when Carl Hiaasen agreed to appear and be honored at the Literary Legends Awards Banquet on Friday, September 24 at the Renaissance Resort at World Golf Village. Hiaasen will also speak at the Festival the next day along with a host of other authors including Larry Baker, Heather Graham, Robert Macomber, Diane Roberts and many more. The Festival's Writers Workshops on Friday, September 24 at the Casa Monica Hotel is always a favorite for area writers. Early bird registration of only $50 runs through August 24, then it's bumped to $65 and $85 at the door. Check it out and register soon. Spring has finally sprung. Now it's time to regenerate our creative spirits, and grow as writers. You can start by selecting one of the six FWA meetings planned for this month. River City Writers meets the second Tuesday of the month at the SE Regional Library in Jacksonville at 7:00 p.m. On Tuesday, April 13, freelance writer, Paul May, who has written dozens of articles and short stories for children, will address this in his talk, "Writing for Children as a Fulltime Career." Contact chapter leader, Gregg Golson at gtgolson@comcast.net. Ancient City Writers meet at St. Augustine's Main Library at 10:15 a.m. on Saturday, April 17 to hear from book coach and publishing consultant Rik Feeney. Rik will present a program on how to grab the reader's attention with headlines, titles and subject lines. 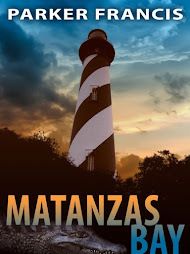 Moving to Nassau County next for the April 20 meeting of Amelia Island Writers. They meet at 6:00 p.m. at Books Plus in Fernandina Beach, 107 Centre Street. This month, editor Emily Carmain will lead the group in an editing workshop. Contact chapter leader Maggie deVries, maggie1948@yahoo.com. Clay County Writers will talk book promotion at their Wednesday, April 21 meeting. They'll gather at 6:15 p.m. at the Fleming Island Library to hear Vic DiGenti present "Book Promotion 101," in which Vic leads us on a fast-paced journey toward marketing success with tips on what obstacles to avoid, and how to plan your trip. Contact chapter leader Maureen Jung, mjung@wordspringconsulting.com. The Ponte Vedra Writers have a program for everyone trying to get published. On Saturday, April 24 at 10:30 a.m. in the Ponte Vedra Library, hear from a panel of authors and publishers addressing the subject, "The Many Roads to Publication." All writers learn quickly, often with the help of rejection slips, that there's no easy way to their publishing destination. Our panel has been there and done that, but they all ended up getting published via different routes. Panelists are Julie Compton, a traditionally published suspense author (Rescuing Olivia) with St. Martin's Minotaur; Erwin Wunderlich, who shared the Book of the Year honors in the published category at last year's RPLA for his historical novel, Salvos on the Backwater, published through Xlibris; Pamela Bauer Mueller, a multiple Georgia Writer of the Year, and her husband Mike Mueller, are a team of independent publishers who through their company, Pinata Publishing, have published all of Pam's books, including the latest, Splendid Isolation: The Jekyll Island Millionaires' Club; and Kent Holloway, author of a paranormal series and who, with Kathy Boulos, started Seven Realms Publishing, a new small traditional press located in St. Augustine. Each will respond to a series of question about their personal roads to publication and later sign their books to benefit the Friends of the Library. Light refreshments will be served at this special program. Contact Vic at vicdig@mac.com. North Florida Writers next meet on Saturday, April 10 at 2:00 p.m. at the Webb-Wesconnett Library where they'll hear from SF writer, Chris Berman. The First Coast Romance Writers also meet on April 10, but at 10:15 a.m. at the West Regional Library on Chaffee Road. Get ready for a steamy session as Cheryl Alldredge and Shelby Reed "Throw Open the Bedroom Door on Love Scenes." Sounds like this one is made for voyeurs. The First Coast Register, a general interest magazine published by The Ponte Vedra Recorder and Journal Community Publishing, will begin adding a short piece of fiction in each issue starting with the June/July issue. Editor Mark Pettus says he's looking for 1,000 words or less in a story by a First Coast writer, and one that preferably references the First Coast. They will pay $100 for the selected story. Since he expects a large number of submissions, he urges writers to only submit their very best work. Send your submission to mpettus@jcpgroup.com. Cinemania is a community-based group for filmmakers and film fans sponsored by Jacksonville.com. Led by Sharon Cobb, the group screens films, TV shows, videos, and more and supports local writers with staged readings held at the Five Points Theatre on the fourth Monday of each month. They find the actors who perform before a live (hopefully) Theatre audience. If you'd like to have your screenplay considered, contact David Pratt for all the details. He can be reached at drpratt@comcast.net. And if you're still struggling with your screenplay, you might want to attend Alexandra Sokoloff's master class on Screenwriting Tips for Novelists. Presented by First Coast Romance Writers, Alexandra, who won the Bram Stoker Award for Best First Novel for The Harrowing, will present the full day workshop at the Arlington Congregational Church from 9:00 a.m. to 4:00 p.m. There's still time to enter the Royal Palm Literary Awards Competition, but the July 16 deadline will sneak up on you if you're not prepared. Check out the guidelines online. And finally, for you mystery/thriller fans, author Wayne Barcomb, The Hunted, will be the featured author at the Ponte Vedra Library's Book Talk Cafe program on Monday, April 19 at 6:30 p.m. The Sarasota author's latest thriller was praised by Kirkus Review, "...the warp speed of Barcomb's storytelling will keep you turning pages." And that's all for now. See you on the bestseller's list.